Nashville, TN (August 18, 2011) -- The up-and-coming Bluegrass brother/sister duo, The Roys, are set to host the world-famous Ernest Tubb Midnite Jamboree on Saturday, September 17. The live broadcast kicks off at 12:00 Midnight and streams on www.wsmonline.com. David McCormick, CEO of Ernest Tubb Record Shops, is excited to be bringing some new talent to the venue. "It's been a long time since we've had anyone like The Roys on our stage," he says. "I think they're going to do very well. Lee and Elaine deserve everything I know that will come their way." For The Roys, who grew up listening to the Jamboree, hosting the show is a dream come true. Lee and Elaine are finding dreams do come true. Their recent hit, "Coal Minin' Man" rocketed up the Bluegrass charts, landing at #1 on Power Source's Top 35 Bluegrass Chart, # 1 on HotDisc International Top 40 Chart, and is currently #4 on Bluegrass Music Profiles' Top 30 Hot Singles Chart and #5 on Bluegrass Unlimited's Top 30 Song Chart. The track is the first single from their critically-acclaimed Rural Rhythm Records debut CD, LONESOME WHISTLE, which debuted at #7 on BILLBOARD's Bluegrass Albums Chart, and is currently #5 on Bluegrass Music Profile's Top 15 Albums Chart, #7 on Cashbox Magazine's Top 20 Bluegrass Albums Chartand #23 on The Alternate Root's Top 66 Bluegrass Album Chart. 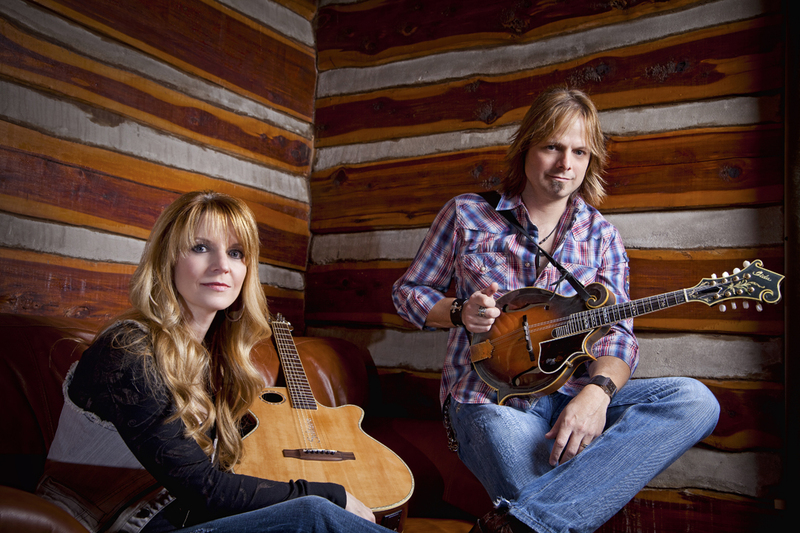 The two-time Inspirational Country Music Duo of the Year kicks off IBMA's World of Bluegrass Week 2011 with a September 25 performance of the National Anthem at the Tennessee Titans' football game. The appearance is their first NFL game opener. The Roys recently opened for Lady Antebellum at Country Thunder Festival USA (Twin Lakes, WI) and have been busy all summer, performing during CMA Music Fest (Nashville, TN), Blue Moon Mountain Bluegrass Festival(Prestonsburg, KY), and more. They've also been touring with country songstress, Janie Fricke, and more joint shows are scheduled. Upcoming shows include Dollywood's Show Street Theatre (Pigeon Forge, TN); Dogwood Park Concert Series (Greeneville, TN); Purple Fiddle (Thomas, WV); Heroes Music Festival (Hampton, GA); Kentucky Renaissance Fairsite (Eminence, KY); University of Wisconsin Theater On The Hill (West Bend, WI), and Tennessee Fall Homecoming (Clinton, TN). The Roys are active supporters of COMPASSION INTERNATIONAL, and Lee and Elaine have been involved with the organization since early 2010. Last Summer, the two traveled to Bogota, Columbia, South America to experience first-hand how the programs are implemented, and this year, they are urging their fans to get on board via the CI Respond With Compassion campaign. Learn more about The Roys and listen to "Coal Minin' Man" and other tracks from LONESOME WHISTLE at www.theroysonline.com.